Welcome to the products section of our website, below is a list of all the products that we offer with detailed descriptions of the products. Custom Database Design -We can create a custom database for you that you can to manage your customers, create invoices and proposals, products and inventory, and much more.. 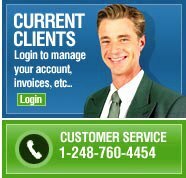 If you have any questions or need more information about our products please call me at (248) 760-4454.